The Audit Log will report all activity with a timestamp on the user who performed the transaction. An audit log report could show you when and who voided or deleted a transaction from the register. It also could let you see if a transaction changed from a reconciled status to un-reconciled status. Access the Audit Log by clicking on the gear icon which is located in the upper right corner then click Audit Log from the tools menu. A special trick that I like to use is the filter button to view all voided/deleted transactions. 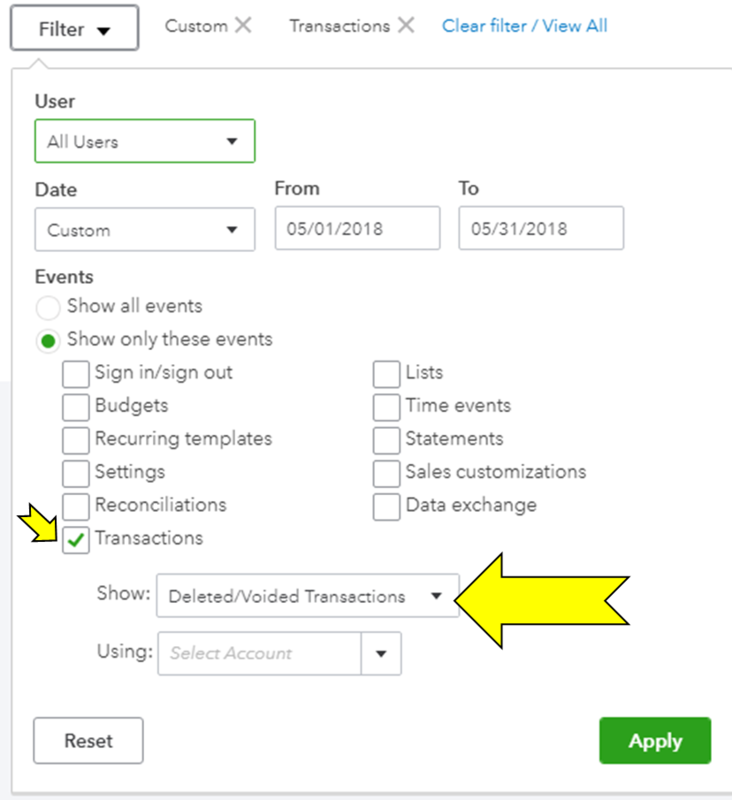 Click the filter button then check box the transactions box with the Show drop as Deleted/Voided Transactions. PRO TIP: Voided transactions can be brought back to life as you change the zero to it’s original amount. Deleted transactions have to be recreated from scratch.